Parents and caregivers play an important role in supporting a young person who has come out as LGBTI+. The services we offer at BeLong To are primarily to provide support for young people. In doing this, you are welcome to meet with us or talk to us as we support your child. We welcome emails (info@belongto.org) or phone calls (01 670 6223). We recommend that you connect your child with one of our youth groups. 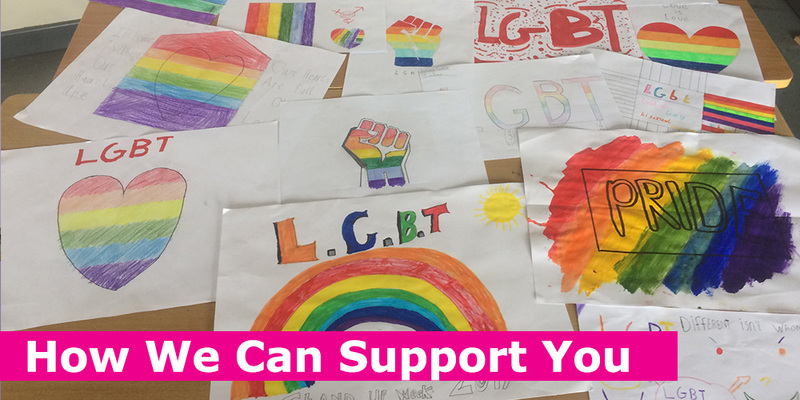 We have almost 40 LGBTI+ youth groups around Ireland where you child can meet like-minded people, talk about their experiences, and have some fun. All of our Youth Groups are facilitated by experienced Youth Workers who can support your child around their gender and sexual identity. You can find more information about your nearest Youth Group here. GenderEd is an information resource families of transgender young people in the Republic of Ireland.